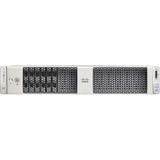 The UCS C220 M5 SFF server extends the capabilities of Cisco's Unified Computing System portfolio in a 1U form factor with the addition of the Intel® Xeon® Processor Scalable Family, 24 DIMM slots for 2666MHz DIMMs and up to 128GB capacities, two 2 PCI Express (PCIe) 3.0 slots, and up to 10 SAS/SATA hard disk drives (HDDs) or solid state drives (SSDs). The C220 M5 SFF server also includes one dedicated internal slot for a 12G SAS storage controller card. 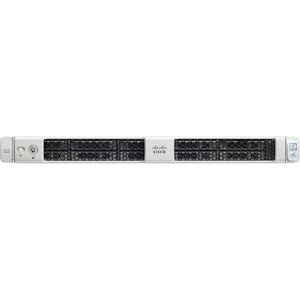 The Cisco UCS C220 M5 server can be used standalone, or as part of the Cisco Unified Computing System, which unifies computing, networking, management, virtualization, and storage access into a single integrated architecture enabling end-to-end server visibility, management, and control in both bare metal and virtualized environments.